Once again, we gathered to let our friends, family and neighbors know they are our greatest resource. Whether you attended, presented, or passed some information along about the BRAD Town Hall Expo we congratulate you for being part of the solution to an insidious problem. It is through your singular and collective actions that we are able to spread the message that there are safe, healthy choices for our citizens when facing the temptations of substance abuse. We watch people dealing with those affected by these dark morasses do so with fortitude and good cheer, undermined by a seriousness in posture. When our message of awareness and prevention misses the mark, we witness those associated with the BRAD program and the citizens of our community stand ready to pick up our brothers and sisters that have fallen. The BRAD committee would like to thank all those involved for making the 2019 Town Hall Expo a fun, informative, successful event. Your selfless efforts are humbly recognized and greatly appreciated! If we missed a contributor, it is a forgetfulness error on our part due to the volume of help we have received. There are more that could be added to this list! Best viewed on a desktop or tablet. 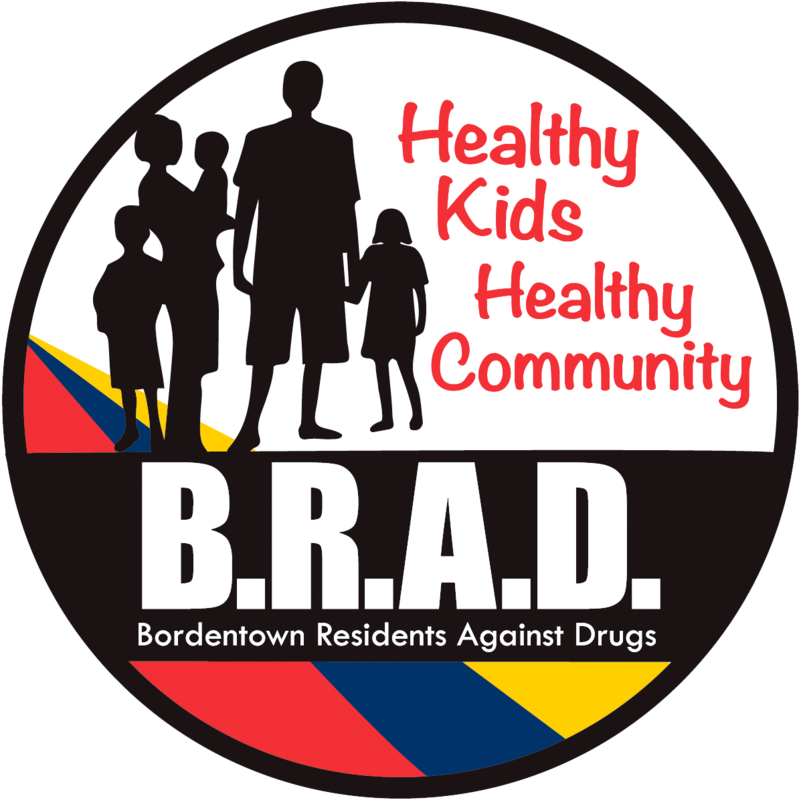 BRAD (Bordentown Residents Against Drugs) is a Municipal Alliance Program funded through a grant from the Governor’s Council on Alcoholism and Drug Abuse (GCADA). 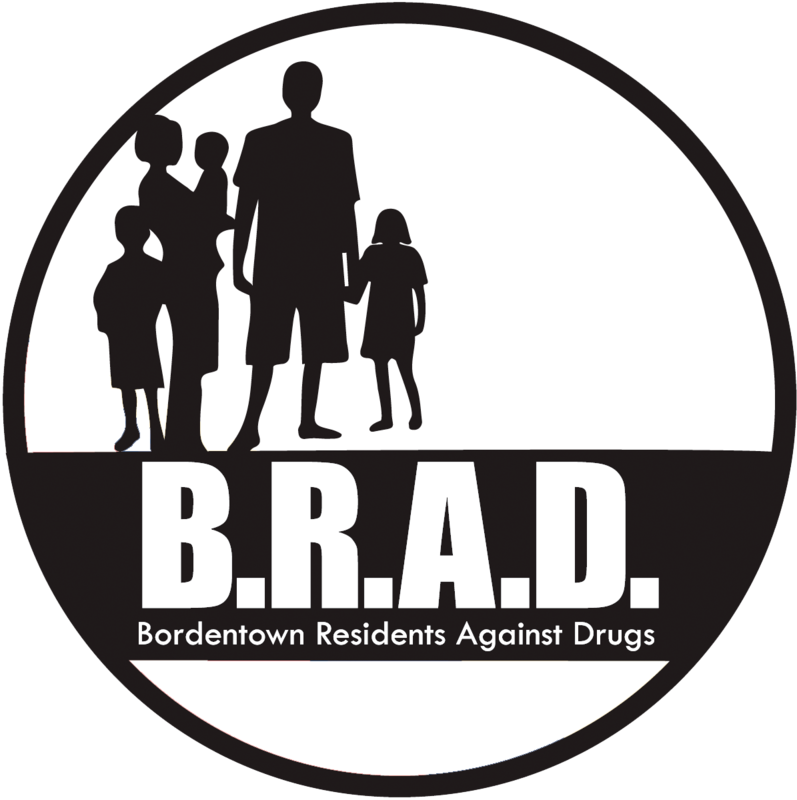 The Bordentown Residents Against Drugs (B.R.A.D.) facilitate coordination and communication between citizens, community groups, municipal government, schools, businesses and faith communities to address substance abuse issues and promote a healthy community within the City of Bordentown and the Township of Bordentown Municipality.